Solar Impulse 2, a solar powered airplane, just ended its fragmented, year-long journey today. It circumnavigated the entire globe and broke records along the way. Ferdinand Magellan was the first to do it by boat, the US military was the first to do it by plane; today, Swiss pilots Bertrand Piccard and André Borschberg became the first people to circumnavigate the globe by solar powered aircraft. They kept their carbon-fiber aircraft up in the air for 26 days of total airtime, broken up into 17 phases that began and ended in Dubai. The entire circumnavigation took over a year, beginning on March 9, 2015, and over that time broke the record for the longest solo uninterrupted flight. The first legs of the trip, which were originally scheduled for 2012, were an overwhelming success, shattering previous flight records. By the end of May, the plane had traversed Asia, where it began a historic flight from Japan to Hawaii. Piccard now holds the record for the world’s longest uninterrupted solo flight at 117 hours. To put that into context, a common passenger airline like the Boeing 747 can travel for about 17 hours. Even outside of commercial flight, the previous flight record was 84 hours, and it hadn’t been surpassed since 1931. It wasn’t all good news though. Crosswinds in China made it difficult to navigate the relatively light aircraft. Funding also dried up, so the team had to scramble for investors in the middle of their journey. Finally, after that historic trans-Pacific flight, the battery overheated, leaving Solar Impulse 2 parked in Hawaii for months. It didn’t take off again until April of this year, when it continued through California, Egypt, and finally Dubai. 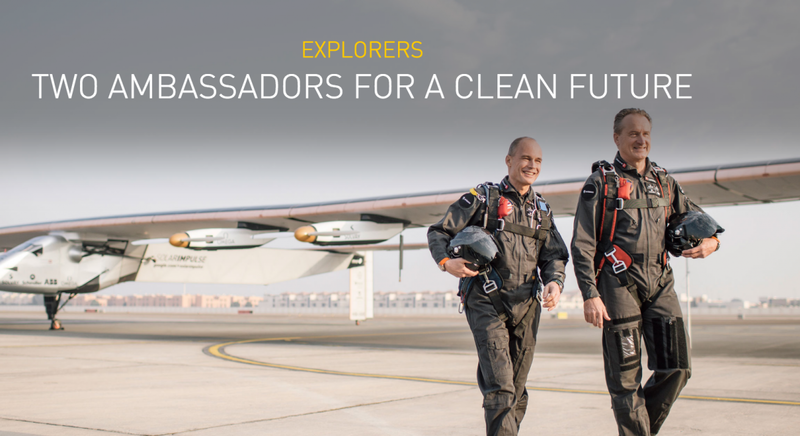 Today, the Solar Impulse 2 team is celebrating an achievement that Piccard and Borshberg hope will show the capabilities of renewable energy—especially solar. A Bright Future For Solar Energy In Aircrafts? Perhaps the renewable energy tipping point is finally here for aircrafts. Due to manufacturing costs, aircrafts haven’t innovated as quickly as automobiles, but the technology’s potential to extend flight times and save on costly jet fuel is hard to overlook. Solar Impulse 2 has over over 17,000 Maxeon solar cells situated across its wings, fuselage, and tail. They claim that SunPower, the company that produced the panels, delivers the most efficient and durable panels on the market today. Other companies have combined solar technology like SunPower’s with wind to make crafts that are less reliant on large batteries (prone to overheat), as they did for Piccard and Borschberg. 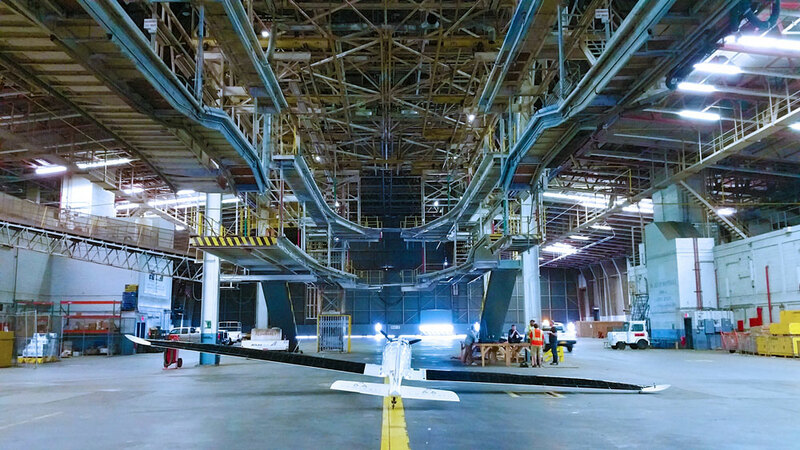 Last month Luminati, an aerospace company located in Calverton, New York, used a combination of solar to successfully land their 400-pound electric aircraft after a 200-mile flight. The solar panels are similar in design to Solar Impact’s, and the wind is derived from vertical and horizontal wind gusts mid-flight. It also runs on autopilot, so that it can be operated indefinitely. Luminati claims that a group of these crafts flying day and night could provide internet access to the third world. That’s just one of the many applications the Solar Impulse 2 team was hoping to encourage when they began their historic journey. The link isn’t just theoretical; Luminati includes references to Solar Impulse throughout its promotional materials. Every entrepreneur is a pretty high bar to set, but tests pilots are used to doing just that. NASA isn’t a bad start. Last month they announced their new hybrid electric plane, the X Plane, and Elon Musk has stated that an electric plane could be his next big idea. Sometimes it just takes the right story for an idea to take off. Piccard learned that from his father, who comes from a long lineage of record-breakers. His grandfather piloted the first flight into the stratosphere, and was the inspiration for Captain Picard’s character in Star Trek. Bertrand’s father broke the absolute deep-sea diving record. Their combined achievements have inspired generations of people who push the boundaries of space and time. With a legacy like that, let’s just hope Piccard and Borschberg are taking time away from the controls to breed. We’re going to need all the genes we can get to bring commercial air travel into the 21st century. Lots of solar panel options out there and if this company is making them more efficient, then solar technology is taking the next step. This is a good accomplishment for something that is self-sufficient. I am shocked that it was not shot out of the skies.